I took the opportunity to submit comments focusing on why these judgeless warrants -- and not just those issued by the CFPB -- are impossible to reconcile with the Fourth Amendment. The comments below address (1) whether CIDs have exceeded initial purposes and precedents, (2) whether they are inconsistent with the original understanding of the Fourth Amendment, and (3) whether they should be severely restricted or abandoned altogether in favor of the process of obtaining search writs from independent judicial officers in a manner consistent with the protocols required by the Fourth Amendment. It was the 1946 decision in Oklahoma Press Publishing v. Walling that most clearly and expressly opted against first principles and the express language of the Fourth Amendment to solidify the expansion of probable cause-free, judgeless search powers of the administrative state. The majority opinion in Oklahoma Press Publishing never fully or adequately explained why the plenary power of Congress to regulate commerce was sufficient to override the Fourth Amendment’s antecedent protocols of probable cause submitted under oath and affirmation to neutral judicial officers as a condition to search papers and effects. Civil investigative demands (1) violate the requirement of probable cause under oath or affirmation required in advance of issuance of warrants, (2) violate original understanding that warrants are issued by neutral judicial officers (the separation of powers), (3) allow government agencies or officials to unilaterally trespass on rights of private property and privacy, (4) are not reasonable under the historic justifications of exigent circumstances, plain view, etc. 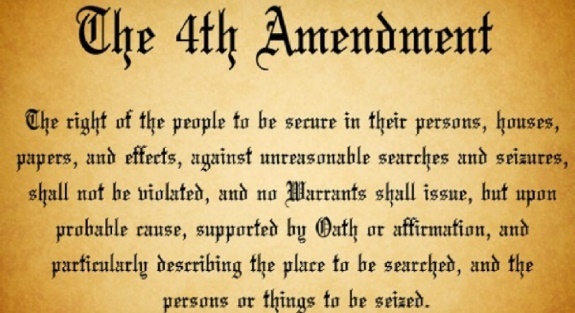 to protect the community using warrantless trespass, and (5) violate the express purpose of the Fourth Amendment -- its lodestar as opposed to merely it touchstone -- which is to protect the right of security in our papers and effects (along with houses and persons). CIDs are deviations from the original public meaning of the Fourth Amendment, and have become institutionalized violations of our fundamental and paramount law. “‘We are also of opinion that an order for the production of books and papers may constitute an unreasonable search and seizure within the Fourth Amendment. While a search ordinarily implies a quest by an officer of the law, and a seizure contemplates a forcible dispossession of the owner, still, as was held in the Boyd case, the substance of the offense is the compulsory production of private papers, whether under a search warrant or a subpoena duces tecum, against which the person, be he individual or corporation, is entitled to protection.” Hale v. Henkel, 201 U.S. 43, 76 (1906); “[A] compulsory production of a man's private papers to establish a criminal charge against him, or to forfeit his property, is within the scope of the Fourth Amendment to the Constitution in all cases in which a search and seizure would be, because it is a material ingredient, and effects the sole object and purpose of search and seizure.” Boyd v. U.S., 116 U.S. 616, 622 (1886). Submitted by rosugill on Thu, 03/01/2018 - 12:39. The obvious thing to do is to declare the CFPB to be unconstitutional and get rid of it.